Aluminum fences are becoming increasingly popular as they are an economically friendly alternative to wrought iron fences. While we install both types of these fences at High Point Tree & Fence, aluminum fences are becoming more and more common. When you couple their affordable price with the fact that they can withstand all types of weather while requiring very little maintenance, it’s easy to see why. 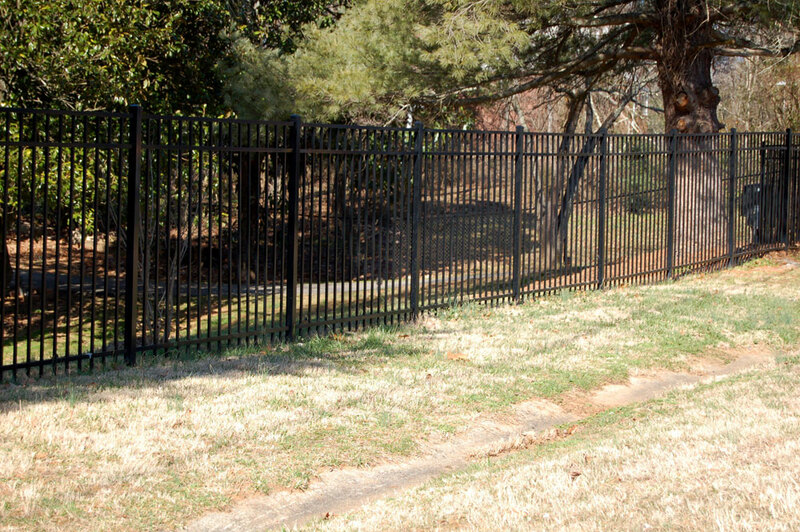 If you’re located in High Point, Greensboro or Winston-Salem, NC and are considering installing an aluminum fence on your property, call High Point Tree & Fence today. We service the entire Triad area. In addition to the above-mentioned benefits, aluminum fences also add a welcoming, elegant touch to any piece of property. If you’re looking for the perfect combination of security and style, an aluminum fence may be exactly what you’re searching for. While we have served the High Point, Greensboro and Winston-Salem, NC areas for years, aluminum fences have never been more popular. When installing a new fence on your property, it’s important to consider all your options thoroughly. If you’re interested in learning more or need a little guidance towards determining your best fencing option, call High Point Tree & Fence today. 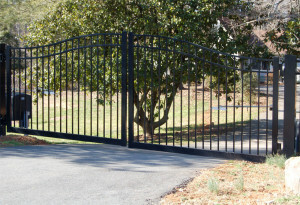 We specialize in fence installation of a variety of types of fences and will help you choose your best option. Economically friendly alternative to wrought iron fences.